What does it take to sustain a marriage? 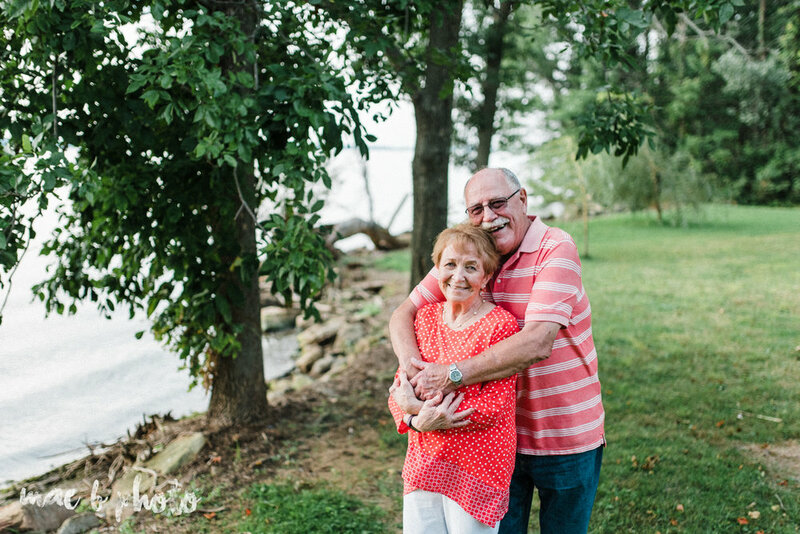 I found myself asking that question after I photographed my aunt and uncle for their 50th wedding anniversary. Sure, every year you celebrate an anniversary and look at it as a number. But what does that number really mean? What transpires through the years that contributes to your lasting relationship? An anniversary is far more than just a number. 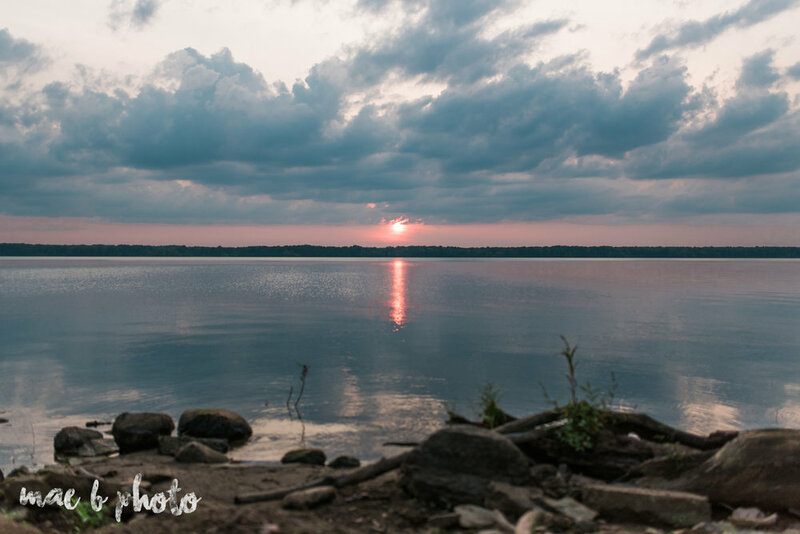 I find myself thinking about relationships much deeper after this shoot, while I'm on the precipice of my three year wedding anniversary (our six year mark since Lou and I started dating) and also watching my past brides and grooms grow in their marriages. Three years seems so insignificant compared to 50. But the more I think about it, the more I realize that each year is just another layer that builds onto that relationship. Each year, each month and each day in itself has challenges and triumphs, not just in relationships and marriages but also in your career, your social life, your presence in the community and just being a human. Even just thinking about where Lou and I were three years ago, planning a wedding and trying to further ourselves in our careers, seems so far from where we are today. We've grown so much, individually and together. I'm wrapping up my second year being full time as a business owner and Lou has been so successful in advancing in his career. I'm proud that we've been able to navigate through our struggles together, even when it was really freakin hard at times. Our lives have changed quite a bit in the last three years, I can only imagine what the next 47 holds for us. Imagine all of the things you can go through with a person in 50 years. A blossoming relationship, a marriage, starting a family, balancing work and home life, watching your kids have kids, experiencing new life and also experiencing death, building the foundation of your family in your first home, moving on to your second or third home, helping to plan your children's weddings, throwing graduation parties for your grandkids, dealing with life changing news, experiencing life through different eras, learning and relearning every step of the way. There are so many things that can happen to a person in 50 years. There are so many lessons to be learned and so much growth to be done. To be able to do that with your significant other and, after every single thing, still be able to share that true love all of these years - my God, that is special. So damn special. 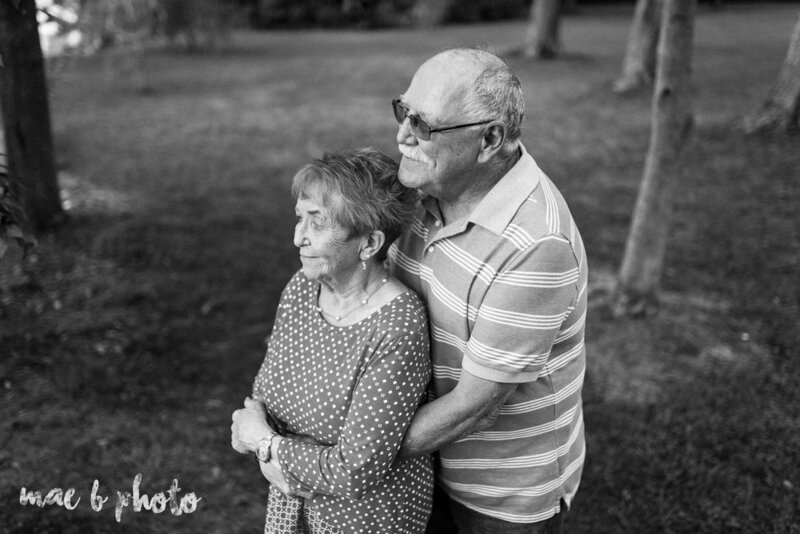 For this shoot, we only had about 10 or 15 minutes to break away from their anniversary party to take pictures, but that time with my aunt and uncle truly taught me a lot about life and love. To see them light up as they talked about the night they first met was seriously everything. It was sweet and funny and completely unique to them. They both have a great sense of humor and my uncle Mart kept saying, "She was only allowed one mistake in her life, and she chose me." He had me laughing the whole time! 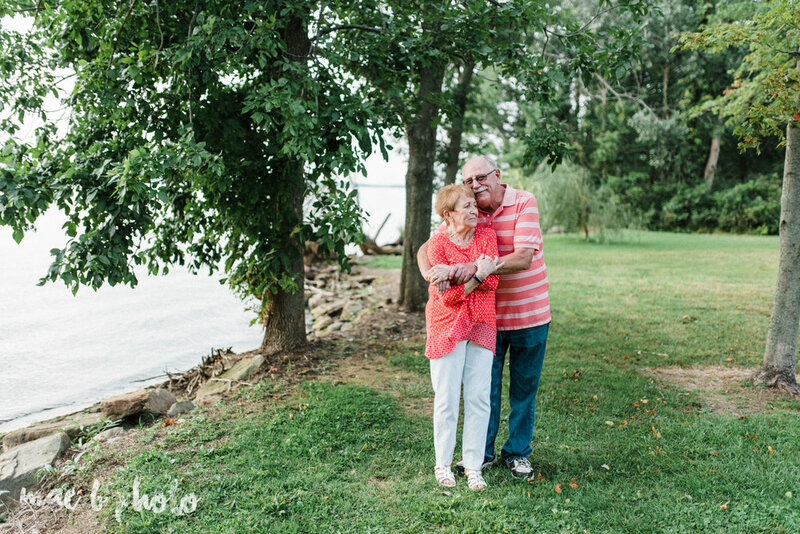 The quiet moments were sweet, but I think my absolute favorite part was when I asked them to share a little dance (they both danced ALL THE TIME back in the day), and they both completely lit up as they spun and twirled around in complete bliss. 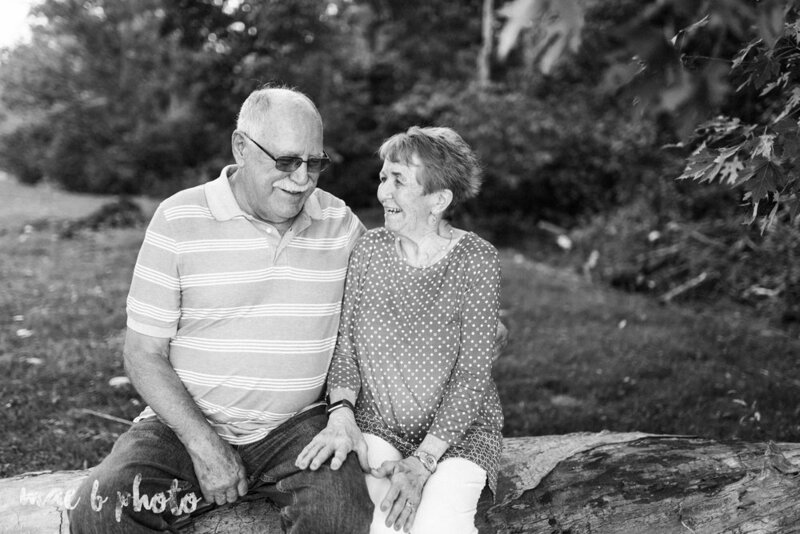 Over fifty years later, they're still experiencing life and love together. Maybe their twirls are a little bit slower than they were when they were in their 20s, and maybe they share more silly, light-hearted moments now than fairy tale, sweep me off my feet kind of passionate moments, but love grows differently on all of us, just as life does. It doesn't mean that love has faded, it just means that love is taking on a new, beautiful form that we are so blessed to be able to experience. If there's anything that I've learned so far in my three years of marriage, it's to be aware and thankful for growth. Marriage, just like any other relationship in your life, takes hard work. To find someone who equally wants to work at sustaining a relationship day in and day out, for the rest of your life - that is a very special thing. Cherish it and never stop growing together.